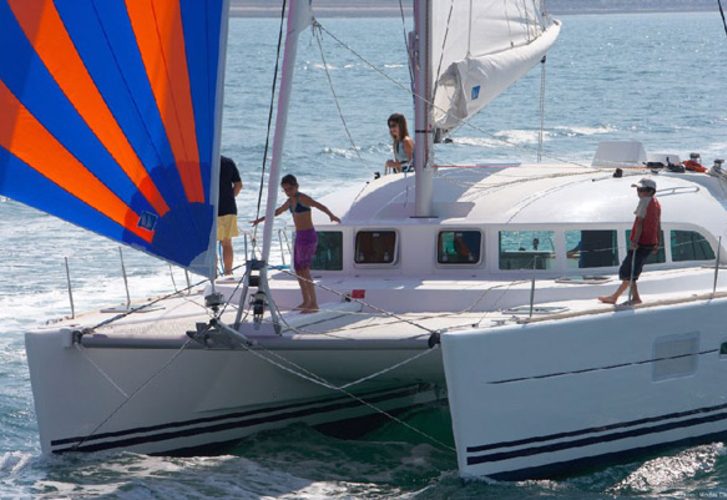 Sailboat Lagoon 380 named 38 SPECIAL has been manufactured in 2014. 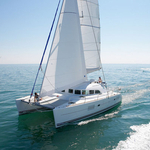 We offer this sailboat from marina Tortola in surrounding area of British Virgin Islands (BVI). 38 SPECIAL is registered for 8 passengers. Layout of the yacht is 8. 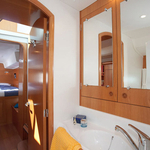 Lagoon 380 38 SPECIAL is equipped with 3 cabins. For comfort of passengers there are 2 bathrooms. You can fill the fuel tank with 2 x 130 L liters and in water container it goes even 2 x 300 L l. With engine 2 x 29 hp 38 SPECIAL can navigate really fast. 38 SPECIAL is 11.55 m long and 6.53 m wide. 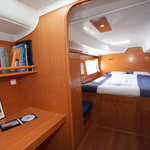 Depth is 1.15 m. Click for more yachts in this site: Catamarans Tortola. 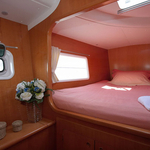 Yacht's equipment consists of : Mainsail with lazy jack, Bimini top, refrigerator in cockpit, Dinghy, Gps plotter, Autopilot, Radio / cd player, ipod system. . Security deposit is at the level of 5000.00 EUR. 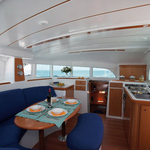 Choose our offer and spend great time on the deck of 38 SPECIAL. 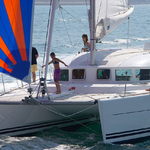 This Lagoon 380 from Tortola from Caribbean You can find by navigating to this section: Catamarans Caribbean.